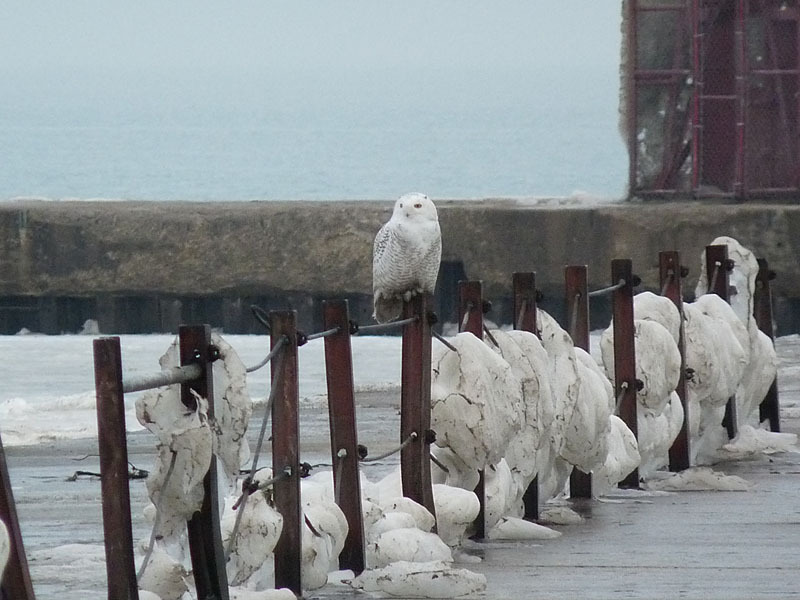 This continues to be a banner winter for Snowy Owls along the Chicago lakefront. This morning, January 21, I had 2 Snowies at Montrose, both at the east end of the beach. One bird was on the fishing pier and the other was on the ice shelves on the beach. Despite the warmup we’re currently experiencing, the fishing pier still has ice in places; if you venture onto it be careful or you could end up in the lake. This entry was posted in Winter Bird Reports and tagged Owls, Snowy Owl on January 21, 2018 by rhughes.